Fallout Shelter by Bethsoft is a creative new building simulation game. The back story is the end of the world has arrived, and you're in charge of building an underground Fallout Shelter. Survivors arrive at your vault door. From there, you define jobs for dwellers by building and upgrading the various rooms in your Fallout Shelter. 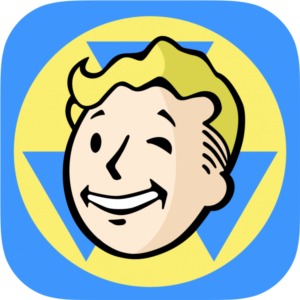 Fallout Shelter is free to download on both Android and iOS with in-app purchase. Not buying in-app items doesn't prohibit advancing, but will speed up progress. On the surface, Fallout Shelter is a very well designed game with an amazing set of graphics that can be very detailed (depending on how closely you zoom in). Here is more on what I've learned playing Fallout Shelter on my Android. Dwellers will periodically arrive to your vault door. In the beginning, you will get many of these types of dwellers. But later on, you will need your existing dwellers to create babies, then wait for the babies to grow up. Once babies are grown up, they are ready to be part of your Fallout Shelter. Dwellers have 7 attributes with differing levels: strength, perception, endurance, charisma, intelligence, agility, and luck. As you progress, you can build rooms designed to enhance one of the attributes. Each attribute is specialized for a particular job in the Fallout Shelter. Additionally, Dwellers can be sent outside of the Fallout Shelter to collect money, weapons, and outfits. So what about Money? It's used to construct rooms in the Fallout Shelter, remove rocks that block your building. Money can also be used to revive fallen dwellers. It's good to have a safe supply of money on hand for emergencies.Weapons are used to protect your dwellers from invaders or to protect your dwellers as they explore outside the Fallout Shelter. There are many types of weapons. The longer you play the game, the better weapons you can collect. Finally, outfits can be assigned to dwellers that enhance one or more of the 7 attributes. This is a quick way to improve the efficiency of your dwellers. Why I Recommend Fallout Shelter? At first glance, Fallout Shelter is no different than any other simulation game on the Android platform. You build stuff, collect other stuff, and repeat. The big difference with Fallout Shelter is the importance of balancing limited resources (dwellers) with the various rooms. The three main types of rooms are power, food, and water. Keep the three resources well stocked for happy (and more productive) dwellers. The problem comes when you don't have enough power causing food and water facilities to go offline. On the other hand, hungry dwellers mean your existing workforce is less efficient. Fallout Shelter a simulation game where your focus isn't solely about building a larger shelter, but creating balance within the shelter. Fallout Shelter generates fun gameplay. I'll probably end up playing this game for at least a month until my phone (Samsung S3) can't handle the large set of graphics. That being said, there isn't much I'd improve on. But if I had to come up with one improvement, I'd say to find a way to integrate multiplayer aspect.